Water encroaching close to both sides of the fairway near the drive target area will encourage precise driving or preferably the use of a three wood or utility club from the tee. The stream crossing in front of the elevated green must be carefully considered by short hitters or by those who are playing an enforced recovery shot after a poor drive. It may be better to lay up short of the stream. 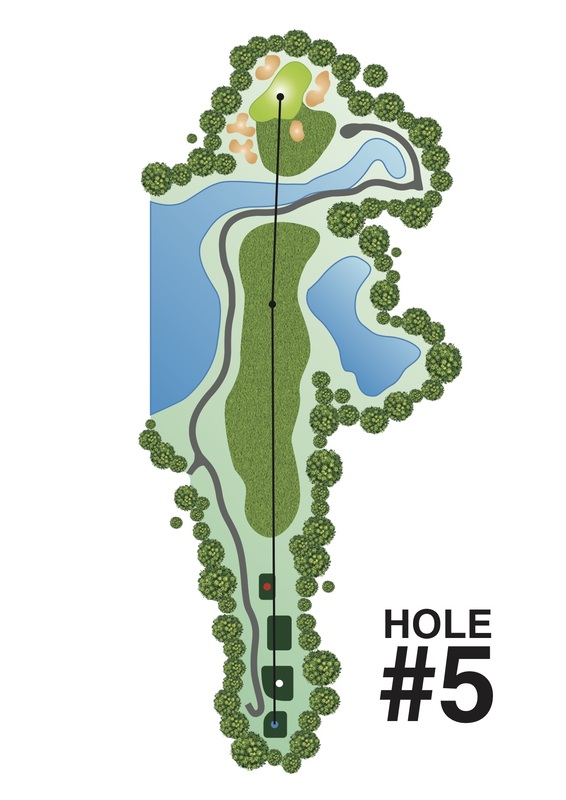 The large undulating green will test long putts and the precision of the approach shot as it is guarded on all sides by large and relatively deep bunkers.